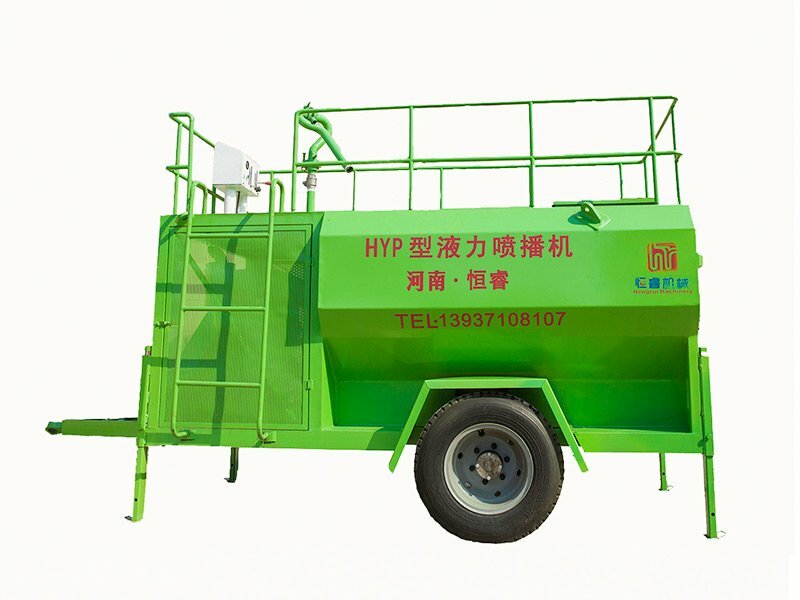 Hydraulic spraying machine with pumps has two powerful drivers, high-performance dedicated pumps, and high ability for material delivering, best applied to the conditions like stable soil slope above 45 degree, high-filled embankment slope and man-made soil slope. 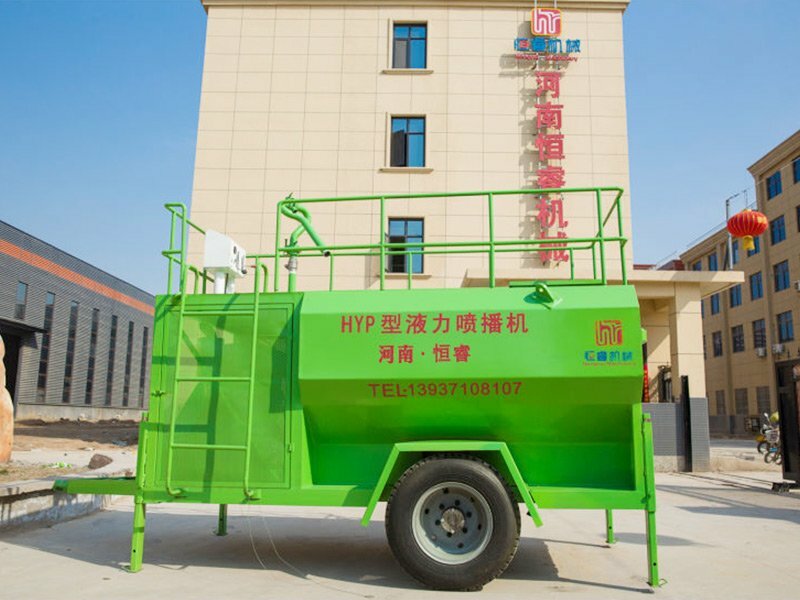 1.Hydraulic spraying machine with pumps has two powerful drivers, high-performance dedicated pumps, and high ability for material delivering, best applied to the conditions like stable soil slope above 45 degree, high-filled embankment slope and man-made soil slope. 2. 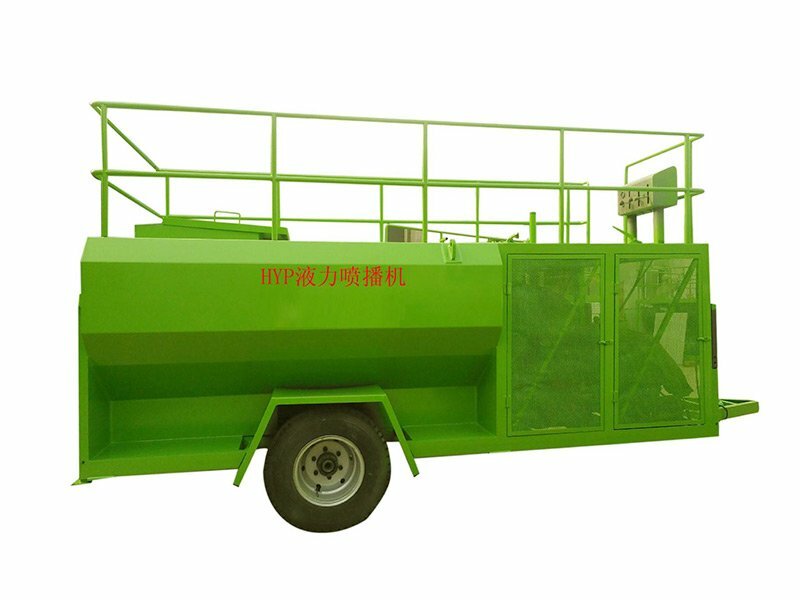 Hydraulic spraying machine have Beautiful appearance, compact structure, affordable for the majority of users. 3. 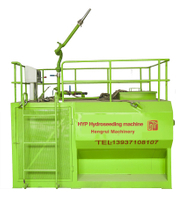 Hydraulic spraying machine with good integral mobility and complete supporting accessories. 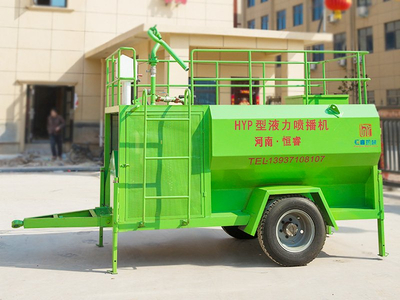 Be powered with electric-start diesel engine, be easy and convenient to operate. 4. Safe and convenient operation. 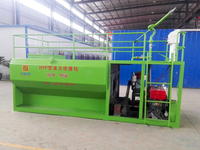 The machine is equipped with full-featured operation palette, skip-proof operation platform which has removable, 80cm-high, closed fence to guarantee the safety for console operator, spraying gun operator, as well as other staff members. 5. 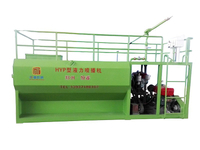 Two mixing models, blades mixing and circular spray, are powerful enough to ensure the spraying mixture in the planting process is in fully suspended and fully mixed state, evenly emitting the mixture of raw materials at one time. 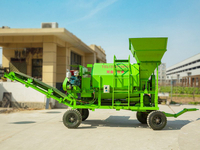 6.Strong power spraying seeding machine with pumps has wide usage, not only can be applied in spraying planting for rice, grass, tress, flowers, seeds and other crops, but also in irrigation, fertilize, pesticide spraying and other daily care, soil improvement work. 7. 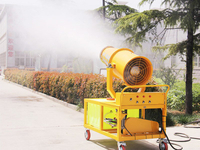 Strong power, extended distance can be reached 60m, and equipped with two types of spraying guns: vertical and horizontal, which extend maximum operation scope from 200m to 300m; fan-shaped spray nozzle or mist spraying is more suitable for close-distance planting to meet various requirements. 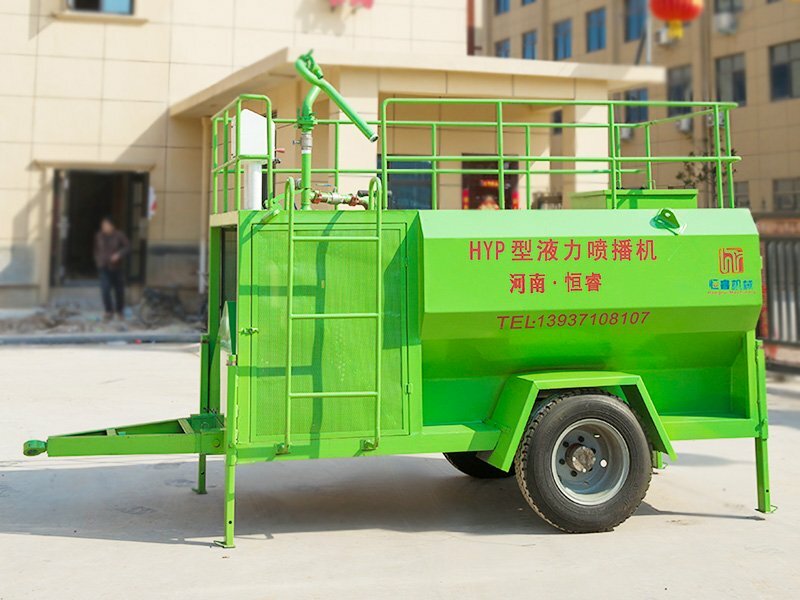 It is used for spraying Water-based mixture of slurry, grass seed, fiber mulch, fertilizer, water-retaining agent, adhesion agent; it is used in residential landscape, commercial landscape, soil erosion control, mine rehabilitation etc. With good integral mobility and complete supporting accessories. 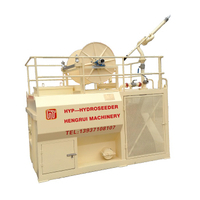 Equipped with electric-start diesel engine, easy to operate . 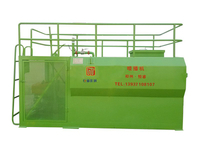 Good working performance ,high efficiency . 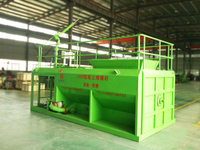 For stable soil slope, high fill sub-grade slope, artificial soil slope, lawn, rice field, garden, golf courses, park, school, soil improvement and the place of erosion control.